eBay has become an excellent place to buy silver and gold bullion. Almost all of the major, reputable bullion dealers have set up eBay stores as another channel for selling their products. Buying bullion on eBay gives you the added benefit of the eBay and PayPal buyer protections that are in place. Additionally, the eBay cash back rewards program, eBay Bucks, provides a way to offset and lower the price you pay for silver and gold bullion. However, there are a couple of things to consider. Products being sold by major dealers are often priced differently than the same products on their own websites. Often they are more expensive. This is primarily due to the additional fees that eBay and PayPal charge sellers as part of their selling service. Another reason the pricing may seem more expensive is that eBay encourages sellers to offer buyers free shipping. The cost of free shipping isn’t free and will be factored into the price of the product. Depending on the dealer and the product and order size this can make the cost lower than buying through the dealer’s own website. 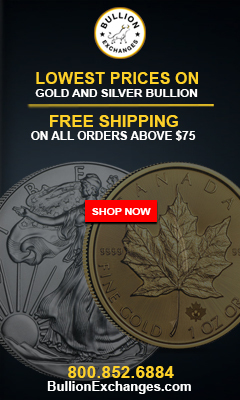 Almost every major, reputable bullion dealer advertises the cash price on their website and will add a surcharge when purchasing via credit card, debit card or PayPal. When buying bullion on eBay, the advertised price is the price you pay when using a credit card or PayPal. Those fees are also incorporated into the price. For these reasons, the advertised price of a bullion item on eBay is more representative of the true cost you pay for a product when factoring in payment surcharges and shipping. While at first glance the price may seem higher than on the dealer’s own website, factoring in these additional costs makes the price comparable. When you also consider other incentives such as the eBay Buyer Protection and eBay Bucks, the practicality of buying silver and gold bullion develops into a more compelling case. Knowing the true cost of what your buying when factoring in credit card surcharge and shipping fees is a good reason for considering eBay when buying silver and gold bullion. However, there are a couple of other compelling reasons as well. All investors in silver and gold bullion are aware of the large amount of counterfeit products prevalent in the marketplace. With the large amount of counterfeit bullion products being produced en masse in China many of those counterfeit items have made their way to eBay. It is always recommended to buy from major, reputable dealers on eBay to reduce the risk of buying counterfeit products. Getting a counterfeit product is always possible. In the event it does happen, you are protected by both PayPal and eBay. If a product is counterfeit, simply opening a case with eBay and PayPal will result in an investigation. If the product is counterfeit, the buyer will be refunded their money and the seller will likely receive some punitive action. A much bigger incentive for buying silver and gold bullion on eBay is a cash back rewards program that is offered by eBay called eBay Bucks. eBay Bucks provides a 1% cash back bonus on certain purchases made through eBay. eBay Bucks cash back rewards accrue on a quarterly basis. At the beginning of the following quarter eBay issues a certificate code that can be used just like a gift card when making purchases. The certificate code applies the earned cash back rewards to the purchase price of an item which essentially reduces the price of an item. Throughout the quarter eBay will have promotions that allow you to earn higher rewards. Typically the promotions have boosted the cash back earnings from the base 1% to 8% to 10%. In one instance earlier this year eBay boosted to the cash back earnings to 15% on purchases. When that promotion was active buyers earned $15 cash back towards a future purchase for every $100 spent. The benefit of being able to apply the cash back rewards to bullion purchases can reduce the cost bullion to below spot price which can greatly reduce the overall dollar cost average of your investment. Signing up for eBay Bucks is pretty straight forward if you already have an eBay account. Instructions for opting in to the eBay Bucks program can be found here. There are a couple of caveats that come with the program. 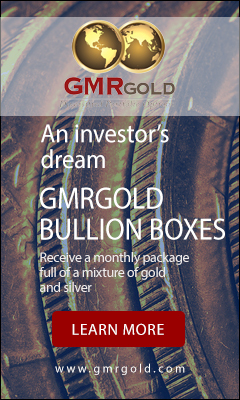 You can’t earn eBay Bucks when buying silver and gold bullion that is listed in the bullion category. eBay discounts their listing and selling fees for bullion dealers that list products in the silver and gold bullion categories. As a result, bullion purchases are excluded from earning eBay Bucks cash back. There are some exceptions and workarounds. Many dealers will list products in alternate categories. Some products that are considered bullion can also be categorized as coins or collectables. Dealers will often list these products in alternate categories that do earn eBay Bucks. At times when eBay is running an eBay Bucks promotion that earns a higher cash back amount, buying items in these categories can earn a significant amount of cash back. Another caveat to the program is that there are some limits on earning. The most you can earn on a single purchase is $100 in eBay Bucks. At normal times, this means that you’d need to make a purchase of $10,000. However, when eBay is running eBay Bucks promotions the amount can be greatly reduced. 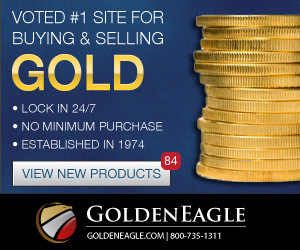 If eBay is running a promotion that earns 10% cash back, purchasing a single American Gold Eagle from a dealer that has one listed in an non-bullion category would easily hit the maximum amount earned per transaction. This is something that needs to be considered. The program also has an earning limit of $500 per quarter. This limit applies to both regular cash back rewards and at times when eBay is running eBay Bucks promotions. Searching through categories on eBay trying to find silver and gold bullion that qualifies for eBay Bucks can be time consuming and tedious. FindBullionPrices.com makes this process a bit easier. We maintain a list of eligible item listings that are regularly available for earning eBay bucks. The list contains silver and gold bullion items, junk silver currency, pre-1933 gold bullion and other items that are listed in categories that are eligible for earning eBay Bucks. Additionally, subscribers to our newsletter will receive alerts when eBay Bucks promotions are running that include direct links to eligible product listings. When will eBay run their next promotion? In the past, eBay has run bonus promotions several times throughout the quarter. Running the promotions is probably a way for them to increase buying activity on their site and boost sales.